Joe joined at the start of 2018 as our Operations Manager, to head the excellent project management team at TransTrans. 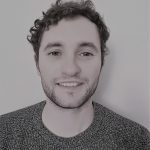 Joe speaks three languages fluently and has worked in the translation industry since 2012, holding roles within the operations teams of various translation companies based both in the UK and abroad. Joe brings his knowledge of the industry to our Operations department and will work in tandem with our experienced project managers to continue to deliver efficient and high quality translation services to all TransTrans customers in 2018 and beyond.